There are tens of thousands of Free WordPress Themes, so why should you buy a Premium WordPress Theme? 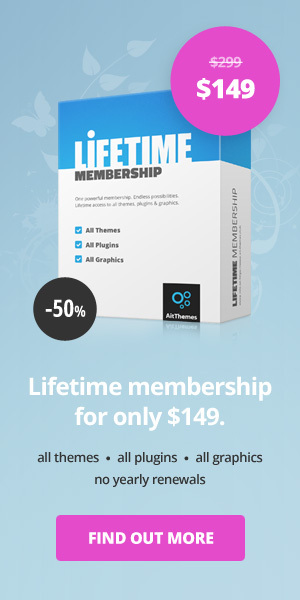 Some say that Premium themes can serve you much better. 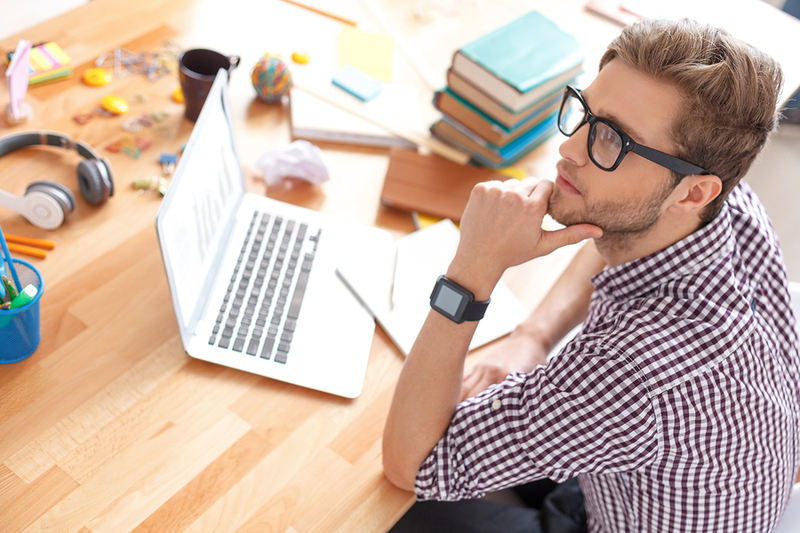 For a very small amount, you have a professional looking website. So let’s have a look if that is true. In this blog post, we will go through all pros and cons of free and premium WordPress themes. Learn more the best way how to start your website on the professional level without spending a fortune. The purpose of your website is the key point while choosing WordPress theme. Most of the websites are for commercial use like company, project or product presentation. Bloggers personal websites focus on achieving income and very often use paid WordPress theme as well. Free WordPress theme can be helpful at the beginning. However, later they can cause more issues. Don’t stop your success by features limitations or others technical issues. The biggest advantage of the free themes is that they are free. They don’t have any other major advantage which you will miss in the professional premium WordPress theme. They have less features, no special custom post types and so they may load faster than premium features overloaded theme. Speed is individual as doesn’t mean free theme will be properly coded to be fast enough. WordPress offers only very basic customization options. Good quality Free WordPress Theme can be found for example on WordPress.org. You can find there nice free WordPress themes for business, personal blog, e-commerce, entertainment or education presentation. Almost 5K at choice. Use feature filter for easier navigation. You can choose between layout style, features and subject requirements on your free template. Despite some complications you might have with Free Themes this is the main free template source. This website won’t publish any Free WordPress Theme, which doesn’t meet rigid criteria in demanding review process. For that reason you can pretty much rely on some standard of WordPress Theme on WordPress.org in terms of quality of code and security. If you would like to install a Free WordPress Theme, bear in mind you should download it from verified websites like WordPress.org. We would strongly advice to avoid website that offers to download Premium WordPress theme for free. You risk your new website will have insufficient security, contain malicious code or may face potential XSS injection. They are dangerous and also you break premium theme author’s rights. You’re basically stealing WordPress theme which is not cool. Regular maintenance is the basic rule for websites built on WordPress cms system. Keeping data up-to-date is important to prevent any security issue. There are regular updates for WordPress 4 times a year. This mean theme author has to have enough time for free theme maintenance. Rarely they can afford such a huge amount of man-day to work for free on the non-profit free website template. Free theme author offers usually no or minimal support. In case you have any question or doubt what to do with your website and free template it can be hard to find answers. Even though free themes don’t come with a support service and theme updates are based on developer’s decisions and not on users needs, you can find some themes that have an active support forum at least. There you can find solutions and help from other users. Developer can provide support directly on their WordPress.org profile where you’ve downloaded free copy of the theme. They can also have own website or some community forum. We’ve mentioned above that you can profit with free theme because it can load faster than some badly coded premium theme which is slow. But you have to think about missing features which make your life easier. Important settings and changes are not available through wp-admin. You will need good knowledge. In case you are not a programmer or web designer, please do not make changes into free theme code files. It is pretty easy to break a website or the backend won’t work. Furthermore for serious business plan you will need to extend and change your website. Investment into your own web developer to change something here and there on your free WordPress theme can be too high in comparison to the price of premium WordPress theme. Think about that struggle over missing settings and features can cost you time and time is $. Design of Free WordPress theme vs. Premium is also the key point which should be considered. The profitable website should look modern and have responsive design. This is something that you should consider before using any WordPress theme. Most of Free WordPress Themes have encrypted footer with lots of good and bad links. And the website with an advertisement in the footer doesn’t look very professional. Encrypted WordPress theme footer mostly contains paid links, which is a big problem in terms of SEO and you should avoid it. Premium WordPress Theme has clean codes and there is nothing hidden in it. Last but not least very important is the website optimization. Not only your content has to meet criteria. WordPress theme code must follow rules. You need to rank on top position to get organic traffic. Likely some of the basic standard won’t be implemented into free WordPress theme. Omit SERP requirements in the free WordPress theme can be marginal factor for website success and business growth. Website optimization is one big chapter and it is never ending process. Google provide crucial information on their website. There are many good reasons for choosing Premium WordPress Theme instead of Free WordPress Theme. Take a look! Users who are not very technical savvy can spend hours and hours adapting a Free WordPress Themes to meet their requirements and expectations. Best Premium Themes have a lot of built-in features with very intuitive usage. For example functionality, which allows you to insert your website Favicon in a few clicks or set-up Google Analytics Tracking ID by simple copying the unique Tracking ID code to the one field in wp-admin. Fast and convenient, no need for programming anything. Premium Themes usually also contain lot of custom post type that will make your content more appealing. Almost all premium version themes come with page builder or support some third party. 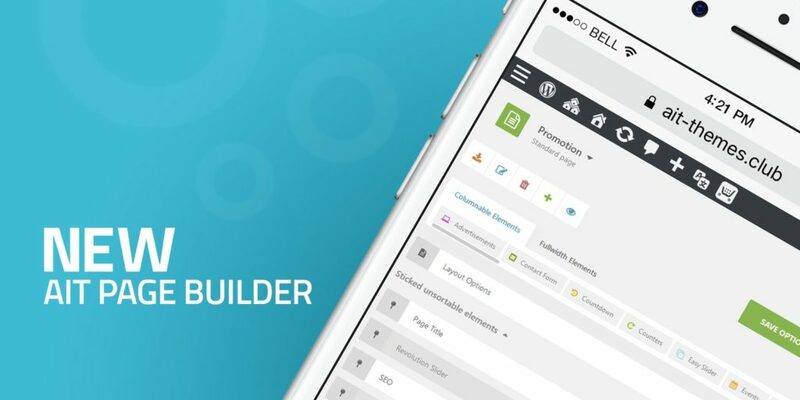 View all features in our premium and directory WordPress Themes. Premium Themes offer more useful features for end users, who don’t have good knowledge of PHP, CSS and HTML, usually required by working with Free WordPress Themes. Also paid WordPress themes come with many special features for business presentation. Special element for business hours, professional members team presentation, etc. If you want to have some of the above mentioned functionalities, but don’t want/or know how to code, in Free Themes you can install various extended plugins – that means additional work and spending extra time and money. Your Free WordPress Theme wouldn’t be for free anymore. First of all, we highly recommend choosing the theme from reputable sources. Only from these sources, you can expect and get a quality product. You have to consider who has developed your chosen theme. How you can find out, if the theme was coded by a skilled professional? You should find a reliable WordPress Theme developers, who guarantee, that their themes follow all current web standards. This includes (except of code quality of course) 100% responsive design, compatibility with the most common extended plugins, SEO optimization, etc. Unique or functional web design? Premium WordPress Themes usually offer the great ability of customization to ensure that you can create a uniquely looking website. It’s very important not to forget that everybody who comes to your website searches for information. Therefore the structure of your website and ease of reading is more important than fancy scrollbar element on Premium WordPress theme. Free Themes available in WordPress.org may have the only basic level of optimization in comparison to the Premium Themes. WordPress itself is SEO friendly. However WordPress theme has to follow some additional requirements and advices to achieve the best results in organic search. SEO optimized Premium WordPress theme is great basement on which you can build unique and rich content. If you decide to buy Premium WordPress Theme, again security depends on theme developer. What’s important to remember, you should always download your Premium Theme from original theme developer. It’s necessary to avoid downloading it from any warez or any shady source, because of high risk of security issues and malicious code content. Going forward it is necessary to install all updates as soon as they are available. You can avoid many problems even with your premium or free theme. Customer feedback allows Premium WordPress Theme author to continually fixing bugs and adding new features. Another great reason to purchase a Premium WordPress Theme is the support you receive. All good Premium Themes include support from the developer usually in the form of a support forum, email or ticket system where you can ask for help. Premium Themes are designed to cover a great range of customer requirements and therefore contain many features and elements. It requires bigger system and networks parameters and it can lower the speed of your website. A lot of various elements, features and settings are sometimes confusing and that’s why we recommend choosing Premium Theme, where you can find simple tutorials and documentation to understand the usage of this theme for the better outcome. Premium WordPress Themes usually cost around 50 USD (it depends on developer who offers only single product or whole membership), but in fact it isn’t disadvantage. Using Premium Theme is much more affordable than hiring a web designer to build you a website. If you want to use an easy Free WordPress Theme, you can spend hours adapting it to your needs and if you are not a professional in web programming the result will still look poor. You can utilize your time in a much more effective way and get better look and functionality. Only by using premium features and elements in WordPress theme. Try premium WordPress theme for free. You don’t have to pay or give your credit card in advance. Ait premium WordPress Theme give is the way to test premium WordPress theme before purchase. Create account and download installation files. You have full access to premium WordPress theme documentation and tutorials. Read more about how Ait Free WordPress theme works here. Premium WordPress Themes have been professionally designed and coded, include advanced features, functionalities, additional services and much more. They look great and you don’t need a huge knowledge of HTML, CSS, PHP and WordPress code to manage them. 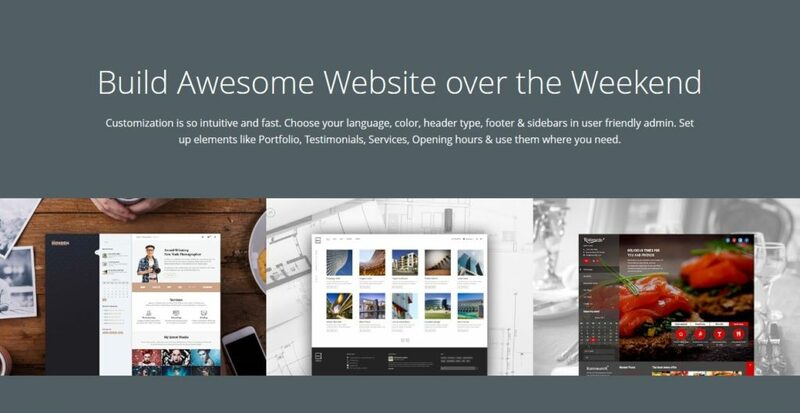 Premium Themes are a great way to build a professional looking website. With smart idea and unique content you can build website that will generate you income. Estou chateado porque queria aproveitar a black friday para aderir a assinatura do lifetime e não consegui por causa do master Secure Code. não teria outra forma de pagamento? (which means: no pre-made custom post types, no Elements to show them in Page Builder, search form without some functionality, no sidebars etc). All you can do with free theme version is setting of colours and some basic functionality, in fact theme is suitable for personal use only (not ready for commercial purpose, no technical support).